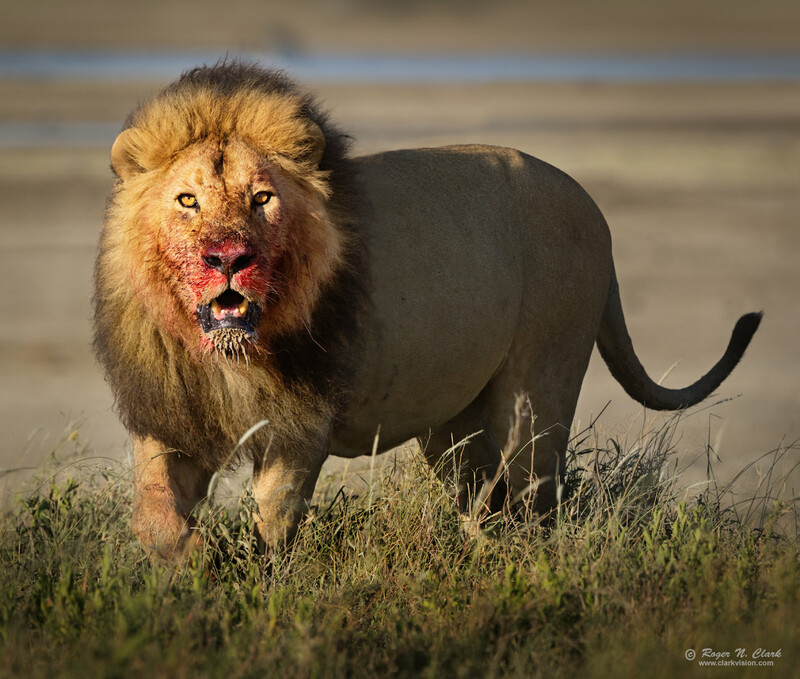 A male lion approaches after having a zebra breakfast in the early morning on the Serengeti. The lion is at 28 meters (about 90 feet) and I made the image kneeling to his eye level. Canon 7D Mark II 20-megapixel digital camera and 300 mm f/2.8 L IS II plus 1.4x teleconverter at f/6.3. Exposure 1/1250 second, ISO 400. Manual exposure. This is a 2-frame mosaic for greater depth of field. The camera was in portrait mode. Full resolution image is 5790 x 4914 pixels.